Almost all the backyards of Kerala houses will have a guava tree ( I don’t know about other places, sorry). In my childhood, when this tropical fruits were in season, we used to climb the guava tree like monkeys to have them. 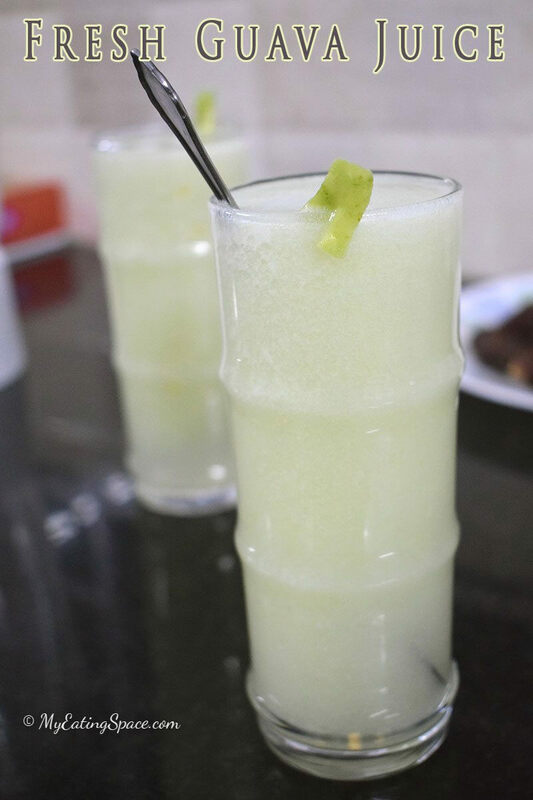 Cherishing those memories, I am sharing a simple fresh guava juice recipe today. Now a days, every fruit is considered a super fruit with lots of nutritional values. May be guava will be one among them, but I am not going to tell you anything like that. Even though we had got lots of guava fruits when they are in season, the thought of making juice never ever flashed in my mind. 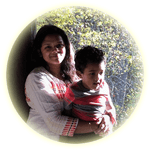 For me, it was a fruit that was supposed to be just eaten until I bought a guava juice bottle from the outlet of Coimbatore Agricultural University. It was so delicious that I regretted not making use of those wasted over-ripe guavas. I told my entire family that guavas will make excellent juice. From then on we started preserving them by making the fruit pulp and store in the refrigerator. Now let’s see how to prepare fresh guava juice. 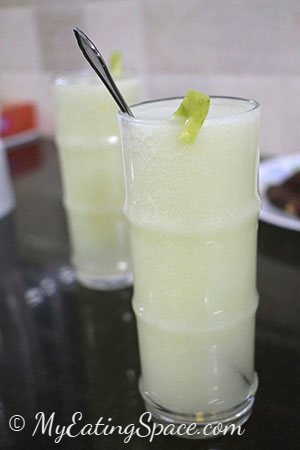 A filling and hydrating breakfast for late mornings or a satiating snack, this tropical fruit juice is the best. Cut the guava into small slices including the skin. In a blender, mix the guava slices, sugar and lemon juice. Blend until the fruit is well smashed. Add water and blend again until smooth. Lemon juice is optional. The juice tastes great even without them. Add more water, if the juice is too thick. This can happen. I have noticed that even if add more water, guava juice is always thick which is always a plus. You can serve more people with one guava. If you wish, strain the juice to remove the seeds. I usually don't do that since most of the seeds will settle down. Also I don't find it difficult to drink this gritty juice.